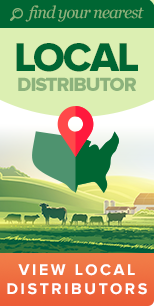 Turfgrass has steadily grown in popularity throughout the years, and you can now find it in various locations covering more than 46.5 million acres in the United States. This grass type presents many advantages, but it needs meticulous care like any other. 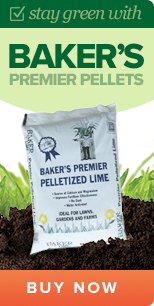 Baker Lime sells a variety of products that aid in grass care, and we’ve compiled some more information and tips on how to maintain turfgrass. You’ll experience turfgrass in residential areas, recreational parks, athletic fields, golf courses and even airports. So what exactly is it? The term “turfgrass” refers to vegetation that grows more densely than other kinds of grass. It creates a uniform appearance that blocks out patches of dirt, which is why it has become such a sought-after feature for places that value a nice and uniform look. It’s practical as well, as a tightly packed field of turfgrass creates a safer surface for physical activities including football, horse racing, tennis, soccer, golf and children’s play. It comes in multiple varieties that you’ll find classified by suitable climate. Popular choices include bluegrass, Bermuda grass and fescue. If you have the task of keeping turfgrass in peak condition, you’ll want to keep it maintenanced for a few reasons. First of all, healthy turfgrass looks beautiful and creates a strong visual impression. Regular upkeep also prepares lawns for sudden and intense changes in weather, sporting events and other stressors. Mowing: Appropriate mowing practices will prevent your lawn from experiencing disease, compaction and weed infestations if done correctly. You should run the mower at least once a week during the summer months, but you should never cut more than one-third of the grass’s blade off, as it can cause a lot of stress. When done right, mowing also encourages regular, healthy growth, which is necessary after sporting events. Fertilizing: Fertilizer bolsters grass growth, encourages stunning color and prevents weed invasion. You need to be careful, however, or else the chemicals can create more problems than benefits. Follow the specified rates and timing to avoid creating nonpoint source pollution. Liming: People tend to focus on the outward appearance of the grass, but it’s even more vital to check the ground it grows in. You should conduct an annual pH test to determine the acidity of your soil, which can become affected by gardening practices and natural elements. On a scale of 1 to 14, with lower numbers representing higher acidity, most forms of turfgrass grown well within a range of 5.5 to 10. High acidity can suffocate grass from nutrients, reduce the effectiveness of fertilizer and leave grass susceptible to diseases. You can change things by applying an appropriate type of lime, which helps to balance out the soil’s pH. 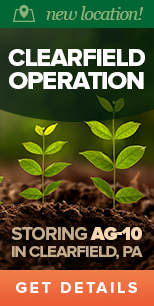 You can have tests done on a soil sample to determine precisely what you need. We have supplied limestone and related supplies for more than 130 years, and we distribute throughout the Mid-Atlantic. Mined from a rich deposit in the heart of York County, PA, Baker Lime limestone receives praise thanks to its high purity and particle fineness, which makes it ideal for a range of applications. Contact us today with any questions!